I am late in posting this but one of my favorite journalists, Howard Witt, has been honored with a well-deserved award for his body of work. If you've been reading this blog for awhile, you already know of him and his objective reporting on issues such as the Jena 6 and the Shaquanda Cotton case. He's also reported on other issues that you can read about below. Witt was also a finalist for the prestigious Pulitzer Prize in the category of national reporting. 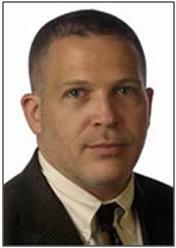 Click here for summary of Howard Witt's work on the Chicago Tribune. CAMBRIDGE, Mass. – Chicago Tribune Southwest Bureau Chief Howard Witt has won the 2008 Taylor Family Award for Fairness in Newspapers for his coverage of racial issues in America. Judges recognized Witt for his exemplary evenhandedness in covering the complex, often thorny issues surrounding race relations in the U.S. and the unfinished business of the nation's civil rights movement. They praised his work as scrupulously fair and described him as a "reporter who will not be beat, who plays no favorites, who reveals disturbing truths." Witt's body of work, "Justice in Black and White," included stories ranging from his groundbreaking reports on the Jena 6 case in Louisiana, to articles about the inequities of the judicial system, environmental racism and the brutal beating of Billy Ray Johnson, a mentally retarded black man in Texas. Through them all, Witt uncovered evidence of the racial tension that continues to divide America. The Palm Beach Post and staff writer Christine Evans for the five-part series "America's New Main Street: The Many Faces of Immigration." Evans researched the forces that have transformed Lake Worth, Fla. into a microcosm of the changing face of America today. Her reports about the effects of immigration on the community were recognized as "a richly human and humane treatment of the immigration issue that is too often missing from other accounts…an exercise in fairness, an antidote to stereotypes." Rocky Mountain News and its four-day series "Beyond the Boom," which examines the impact of oil drilling on Colorado's citizens, environment and economy, and uncovers both the positive and negative consequences of the oil boom. One judge noted that "the editorial mandate that every stakeholder involved or affected be offered a voice in the pieces, the masterful graphics and explainer-sidebars and the attempt by the news organization to illuminate the way to go forward was magnificent." The team behind the Rocky Mountain series included reporters Laura Frank, Gargi Chakrabarty, Todd Hartman and Burt Hubbard; Matt McClain, photographer; Michael Hall, graphics; Steve Miller, designer; and Tim Burroughs, copy editor. The Nieman Foundation received a record number of applications for the award this year. Nieman Curator Bob Giles noted that the choosing a winner and two finalists was difficult due to the high quality of the entries: "We saw many exceptional, well crafted, in-depth reports on a wide range of topics. Despite the challenges facing the industry, print journalists continue to do extraordinary work. It's clear that their newspapers strive to ensure that stories are fair in doing so, they render readers a great service." The judges for the 2007 Taylor award were Ernest Schreiber, editor of the Lancaster New Era in Lancaster, Pa.; science writer John Mangels of The Plain Dealer in Cleveland, Ohio, and a current Knight Fellow at MIT; Maggie Mulvihill, I-Team producer for WBZ-TV in Boston and a 2005 Nieman Fellow; and Walter Ray Watson, a senior producer at NPR in Washington, D.C. and a 2008 Nieman Fellow. Bob Giles, curator of the Nieman Foundation, was chair of the jury. The 2008 Taylor Awards were presented on April 17, 2008 at the Nieman Foundation for Journalism at Harvard in Cambridge, Mass. The Taylor honor includes a $10,000 prize for the winner and $1,000 each for the two top finalists. The award program was established through gifts for an endowment by members of the Taylor family, who published The Boston Globe from 1872 to 1999. The purpose of the award is to encourage fairness in news coverage by America's daily newspapers. William O. Taylor, chairman emeritus of the Globe, embraced the idea of an award for fairness in newspapers as a way to give something back to the craft to which five generations of his family devoted their working lives. The Taylor family's 127-year stewardship of the Globe was characterized by an enduring commitment to fairness. At his invitation, the Nieman Foundation for Journalism at Harvard agreed to administer the prize starting in 2002. The Nieman Foundation for Journalism at Harvard administers the oldest midcareer fellowship program for journalists in the world. Since the program was established in 1938, more than 1,200 journalists of accomplishment from 88 countries have received Nieman Fellowships and have visited the university for a year of study and exploration. The Nieman Foundation also publishes the quarterly magazine Nieman Reports, the nation's oldest magazine devoted to a critical examination of the practice of journalism. Additionally, the foundation is home to the Nieman Program on Narrative Journalism and the Nieman Watchdog Journalism Project, which encourages reporters and editors to monitor and hold accountable those who exert power in all aspects of public life. Why doesn’t JET Magazine use male centerfold models? 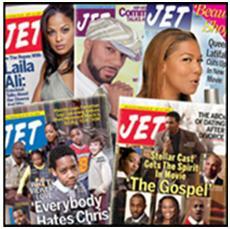 If you are a black American, chances are you've seen and read JET magazine during your lifetime. For the life of me, I can't remember not having JET or EBONY in my household. 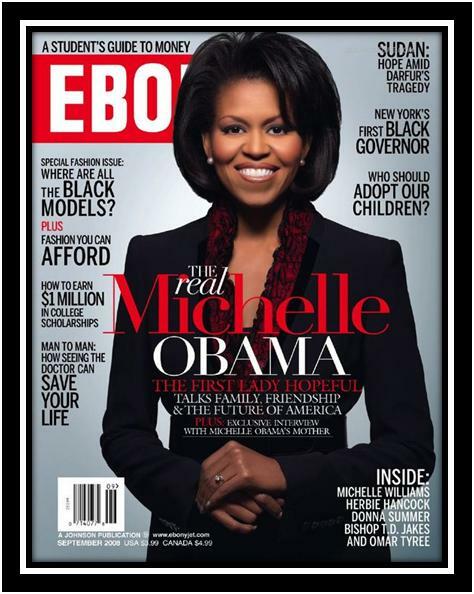 Both magazines have done an excellent job in capturing and recording news and history of black people from around the globe. One of the trademarks of JET is the Beauty of the Week which is a centerfold photo of a woman in a swimsuit, usually a bikini. The men I know usually flip to that page first and then read the news. A post I wrote back in November about one of the JET Beauty models led to a comment by one of the JET photographers, Jacquie Riley Thomas, who took offense to the word 'cheesy' that I used in my post. Ms. Thomas thought I referred to the photography as cheesy; which is far from the truth. I do think that whole woman in a swimsuit concept is cheesy. I've often wondered, and I might as well write it here, why there aren't any men centerfold models in JET. I know Johnson Publishing Company produces a swimsuit calendar called JET Brothers so a male centerfold is an easy change. When JET does decide to make that move, here's my short list of guys for the JET Brother of the Week centerfold. Let's see…in no particular order: Terrell Owens, Shemar Moore, Boris Kodjoe, Dustin Brown , the UPS guy that delivers to my office, Harry Lennix and Michael Jai White. I could go on and on about the sexual objectification of women but that's not really the point. Until men are used as JET centerfold models, no matter how nice the photography, I will continue to think the concept is cheesy.